Do not waste your money at saloons for a manicure. It is absolutely waste of time and money. 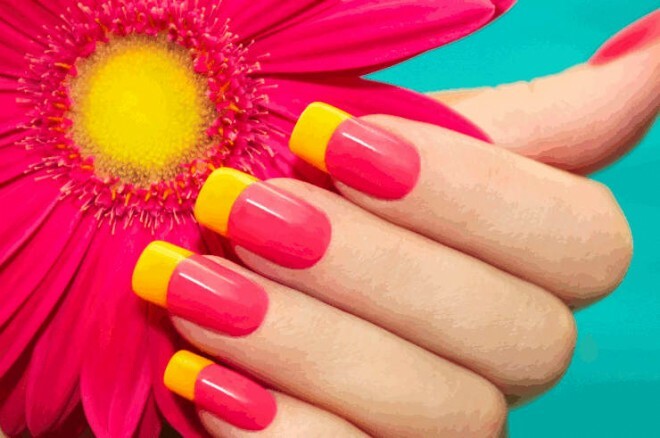 You can get a perfect manicure done at home for much cheaper rates. All you need is spend same amount of time at home rather than at saloons. Everyone assumes, if they hit the saloon and get a perfectly done manicured nails , their manicure effect would be lasting for a week or two. But, what these assumption lets you miss is, when you start doing it at home, you get used to the speed of its completion and your fingers + Nails would look more and more prettier lasting the beauty for weeks and weeks. Its always not just about Nails when you say a manicure, Fingers should also be taken care of. More wrinkles on your fingers and cracks would leave a bad remark on your personality. Its not just beautiful nails but you should also have good looking moisturized neatly waxed hands and finger. Now, here is your Step-by-Step tutorial for Manicure. Step 1: Collect below tools. – Nail Polish of your choice. Base coat & Top Coat if you like. Step 2: Remove Old Nail Polish stains. If you have stains of old nail polish, you would need to remove those stains using the Nail Polish remover and Cotton pads. Do not use lots of Nail Polish remover on your nails, it would leave your nails dry. 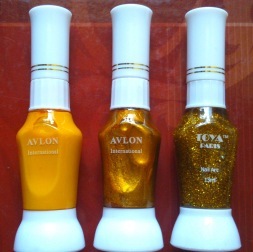 Try to avoid acetone nail polish removers as this would make your nails very dry and lifeless. Step 3: Cut or Buff your nails to your desired shape. Use nail cutter for removing excess nails initially. Once you are done with excess nails , start giving your nails a good shape of your choice. Stiletto Nails or French Nails are always in trend. Only buff at the edges to shape the nails, do not roughen rest of the nail surface for no reason. If you roughen the nail surface too much, nail polish would not look evenly coated when you apply it. So, just buff your nail extras smoothly with a gentle buffer. Step 4: Soak the nails in Luke warm water. Immerse your nails in Luke warm water. If possible just put gentle face cleansers into it or, you can add lemon and sea salt into the water just a little. After 3-5 minutes, you can remove your fingers and gently wipe them with a cotton cloth. Use cuticle removal or nail cutter gently to remove any excess cuticle which is onto the nails. If you have little broken cuticles, do not tear them, gently remove only the torn part and push the remaining cuticle little up. Once you are done with cuticle removal, use a moisturizer and massage gently into your cuticles and fingers with the moisturizer. 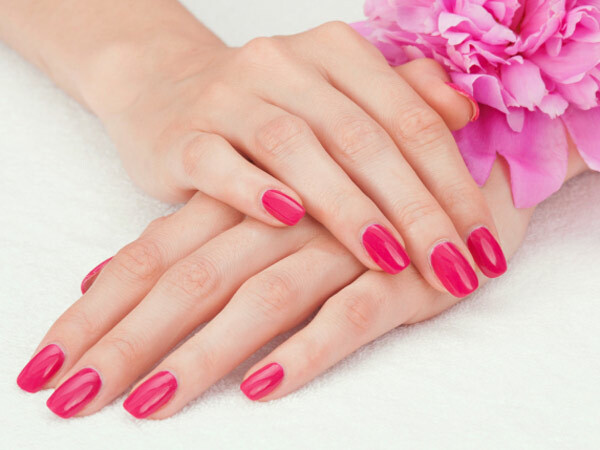 Manicure is just all about nails, you have to maintain really good looking fingers to enhance the beauty of your hands. You need to moisturize your hands as many times as you wash them daily. Step 6: Nail Polish, most favorite part of all. 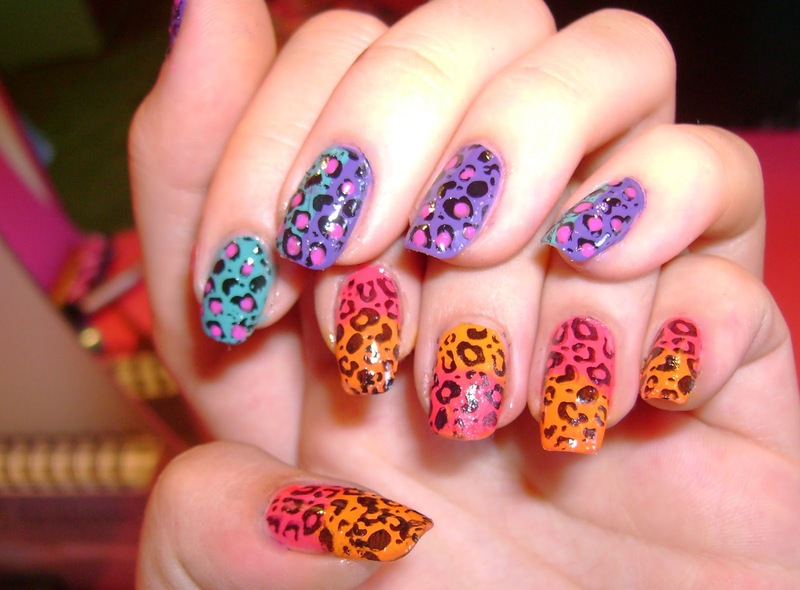 Before starting with any nail polish, make sure your nails are free of moisturizer now. 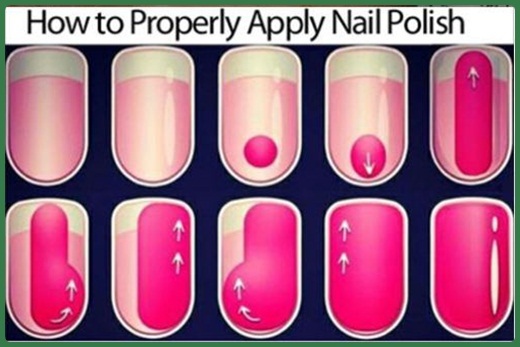 Just wipe them with a cotton pad and water just to make sure, there is not much moisturizer on the nails, which would prevent the nail polish in sticking to the nails evenly. This can be done in either 1 or 3 sections. Few like applying a base coat nail polish before the original color. This base coat should be bought from a good brand as this sticks to the nail and also avoids nails from staining and chipping. A good brand helps you to have a healthier nails. After your base coat is completely dried, you can apply the nail polish of your choice in layers allowing each layer to cry thoroughly. 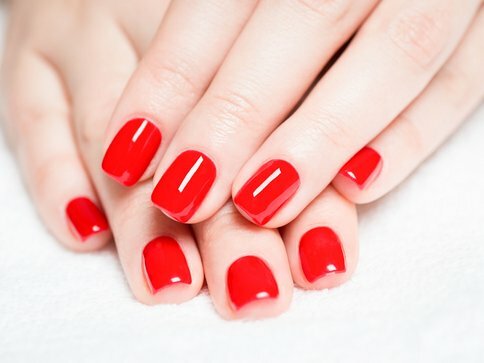 People who do not use base coat, can directly apply the nail polish on the nails in layers, allowing each layer to dry before proceeding to the next. 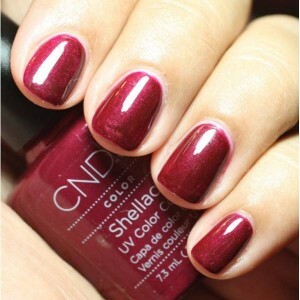 After you got the desired colour of your choice, you can apply a Top Coat nail polish or just leave it as it is. If you are using any Nail Art Stickers on your Nails, then you have to apply those stickers when the last layer of your nail polish is still wet. Let the Nail Sticker and Nail Polish dry together. Once they are done, you must apply a Top coat so that they remain seated where they are atleast for 2-3 weeks. When you have completed your desired nail art/polish, now you have to clean up any excess marks left across your nails. 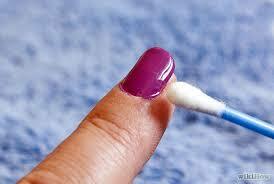 This can be done gently using a ear bud or small amount of cotton pad immersed in nail polish remover. Gently clean the excess stains around the nails, taking extreme care not to touch the actual parts of the nails. After you are done, wash your fingers in running cold water. Keep pampering your fingers and nail with moisturizer as many times as possible in the day. Congrats!! You have just mastered the art of getting a manicure done at home perfectly. Share it and love it.